The iconic family owned and run Porters Plainland Hotel sits on the Warrego Highway, west of Brisbane nestled in the beautiful Lockyer Valley. The hotel is now over 100 years old, originally built in 1914. Craig has been involved in projects at the Hotel since 2001, and now the team has had the privilege of designing and managing the latest addition, which is to be completed early 2019. The popular highway stop will receive new hotel spaces and a new 17 room motel in the coming year, significantly expanding what is currently on offer in the area. The proposed design maintains the country pub's welcoming warmth, while never compromising on quality and functionality. The new Hotel will include a flexible function space to cater for 120 people, two new feature bars, a secondary commercial kitchen, as well as a gaming/sports lounge. This is all to be linked into the existing Hotel facilities. 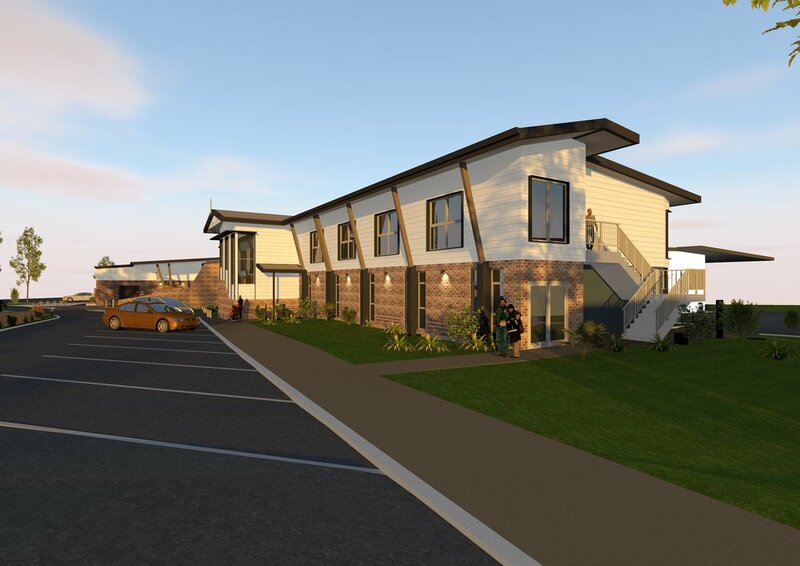 The new build will also include offices, staff rooms, storage, laundry, cold rooms, and a new commercial kitchen to service the function rooms and the Motel. Once the motel beings operating in early 2019, the Craig W Chandler Architects will begin design and documentation for the second stage of the development, which aims to expand the motel with a further 10 motel rooms and a wedding ceremony space to complement the function space.